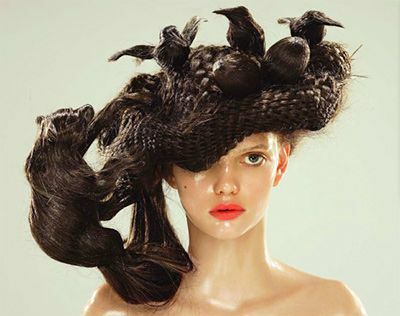 You cannot stop the birds of sorrow from flying overhead and crapping on your head, but you can stop them from nesting in your hair. Well the bear isn’t nesting, is he? He’s climbing up the scaffolding to get to the nest and eat the eggs. That’s my reading of the situation, anyways. You are right, the bear is not nesting. Bears of grief could be a little too much.